One sweet delivery deserves another! 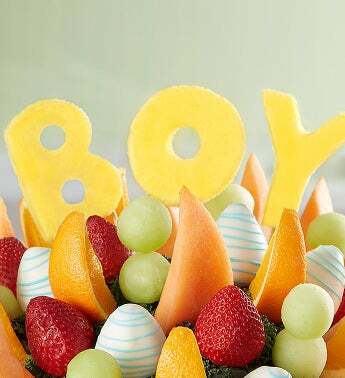 Our delicious fruit-filled arrangement features bright, juicy pineapple letters that spell out your choice of “BOY” or “GIRL”, with dipped strawberries, melon and orange wedges. 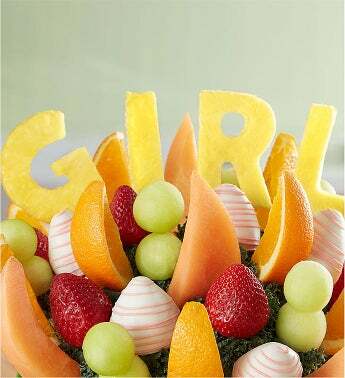 Perfect for sharing at baby showers, welcoming mom home from the hospital, or for greeting the new bundle of joy.